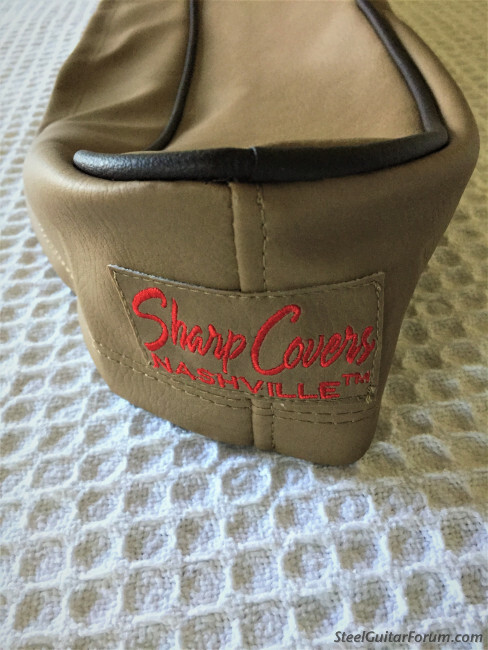 This "Sharp Cover" was made for a Joaquin Model Clinesmith S-8 Lap Steel and was never used. Here are the dimensions. 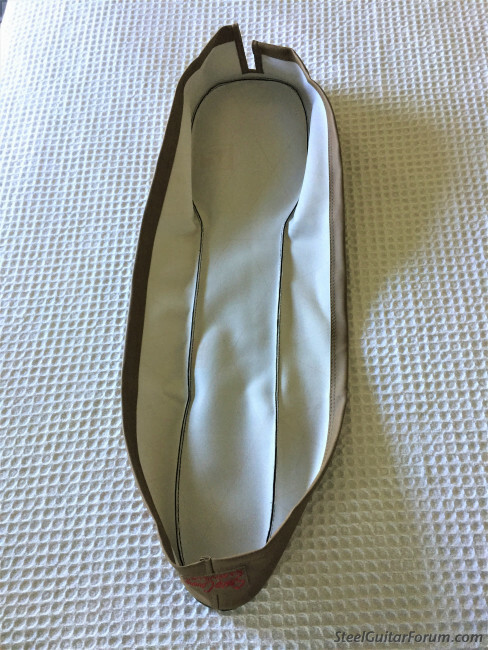 I measured the inside at the seams. Width = 8 1/2" at the pickup end x 4 1/2" at the key end. 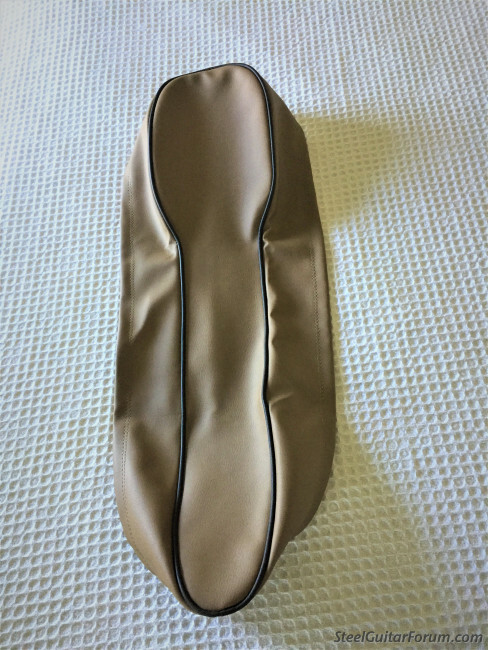 I'm selling this cover for $30.00 with free shipping in the lower 48. I prefer PayPal "Friends & Family" but will also accept payment by postal money order, bank check, or personal check, (but must clear bank before shipping.) Thanks for looking.